When ESCAPER is thrown into the fire, the chemical composition will disperse over the burning area. At the same time, the extinguishing chemicals would generate ammonium gas. Water evaporation would cool down the temperature of combustibles (cooling effectiveness) while ammonium gas would create a fire retardation effect that restrains the burning chain reaction. 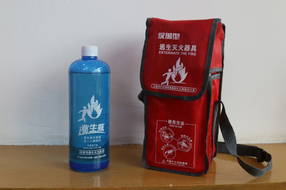 At the same time, one of the main ingredients for handy fire extinguisher and carbon dioxide produced by heat would suffocate oxygen and restrain combustibles from burning (cutting oxygen). 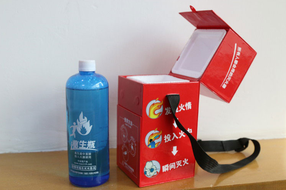 the latest throwing fire extinguisher developed and designed to help rescue vulnerable people especially children, the elderly and the disabled from fires. With the latest research and development, we have improved the product to cater for various needs and markets ranging from household, commercial, industrial etc. 1. What kind of fire can ESCAPER handle? 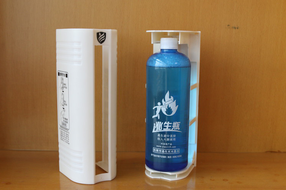 ESCAPER is designed to fight small, contained Class A fire (combustibles) with one bottle. If small fire turns large, two or three bottles can be used to double the effect of extinction. It is not intended for use on an out-of-control fire. 2. Can ESCAPER be used to put out fire caused by short circuit? 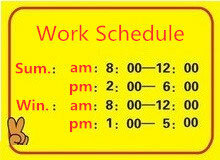 When short circuit takes place, the power supply will be cut off. In this case, the fire is burning the combustibles, not electricity. Thus ESCAPER could be use to put out fire if power supply is de-energized. 3. Is it safe with the ESCAPER? Of course. 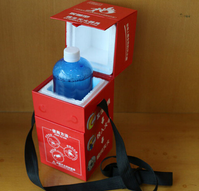 The ESCAPER is made of special breakable plastic which does not injure human body. Keep in mind that the ESCAPER is very fragile and would break even if it falls down from a height of about 1 meter. 4. Can ESCAPER be used for outdoor fires? 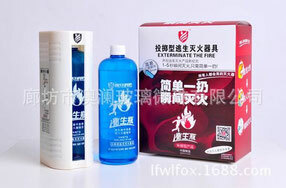 For outdoor or wide spreading fires, it is recommended to dilute ESCAPER with 8L of water. 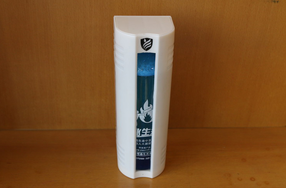 The effectiveness of a scoop of diluted agent is equivalent to a bottle of ESCAPER. However, the diluted agent could not be preserved for long hours. 5. Is the chemical used in the products dangerous? No. It won’t be ignited or exploded. It's harmless to humans, animal, property and environment. 6. I've never heard of ESCAPER. Is it a proven product? Yes. 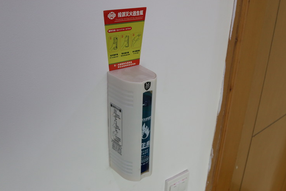 It is throwing type fire extinguisher. 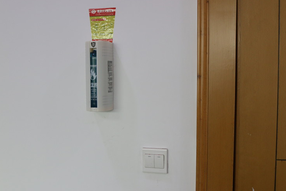 It's the latest fire extinguisher at present.